Bitter Orange Marmalade made with Seville Oranges is one of life’s truly great pleasures. 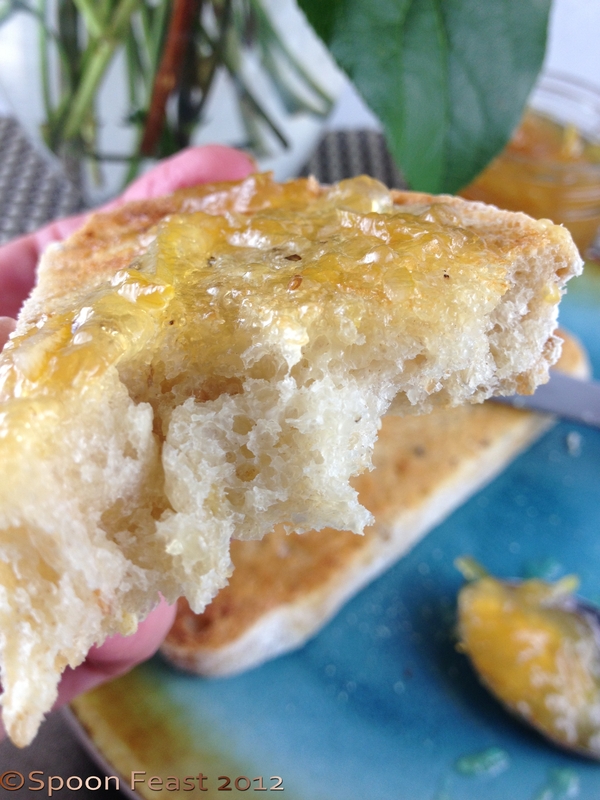 The intensity of the orange, the bitter-sweet finish that mixes with melted butter on good toast is something that could inspire sonnets. 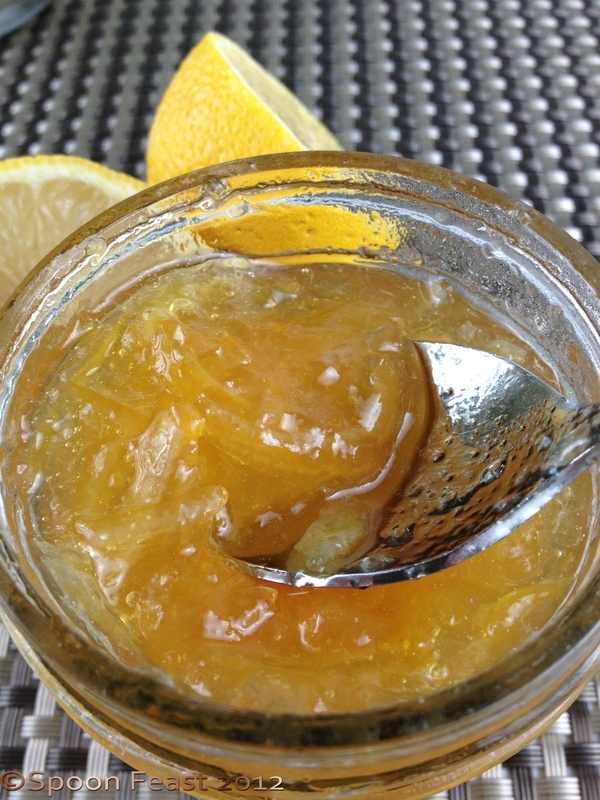 So humbly, I go into making a marmalade from the abundance of lemons in my kitchen. It is worth noticing that some recipes ask for the white pith to be removed, some include the entire lemon, some just peel and lots of interesting versions in between. All ingredients are equal parts and there are only three ingredients. Water, fruit and sugar. Simple recipe, right? Armed with this knowledge, you can make as much or as little as you like. For me, I’ll make at least 4 pints and put it into 1/2 pint jars. This makes a good gift and the holidays are just around the corner. Wash and soak the lemons for at least 30 minutes. Scrub them gently. 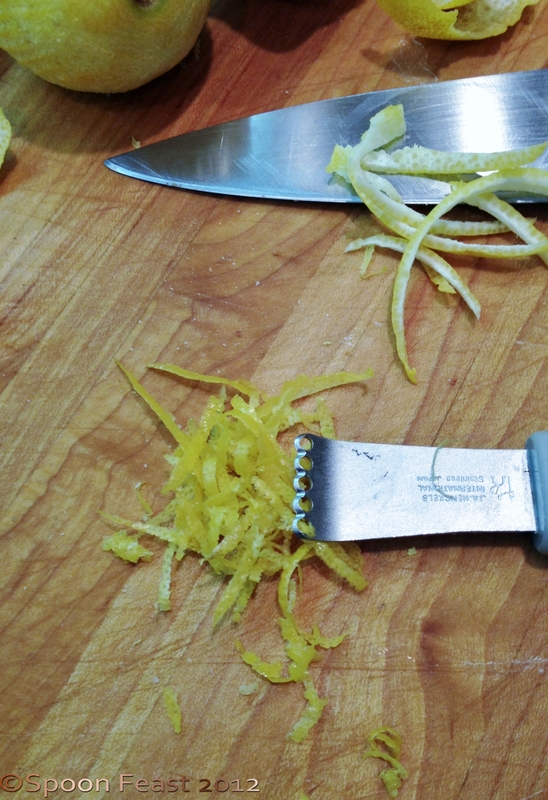 Remove the zest using a 5-hole zester or a sharp knife. The best appearance comes from cutting thin strips of the peeling. 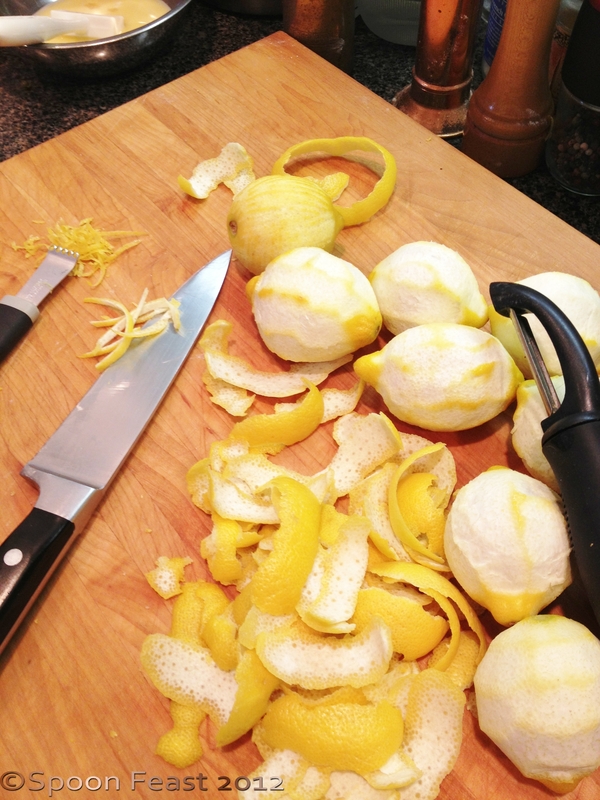 Peeled lemons. Sometime the citrus will have a thick pith between the zest and the fruit. 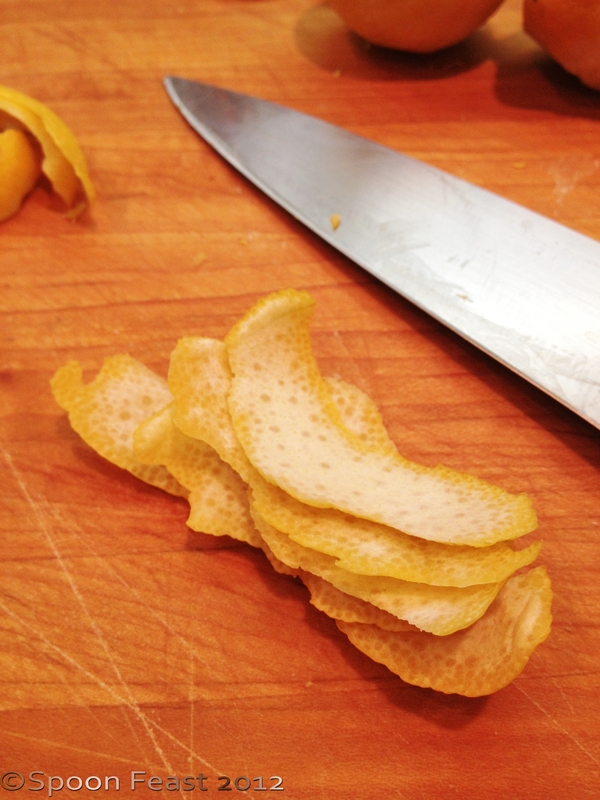 Remove the peel, cut the pith away just as you would to remove the peeling for sectioning citrus. Refer to the “Related Article” below. Pile the strips to cut into fine strips. Notice how much of the pith left on the peels. This will ensure a desirable bit of bitterness. 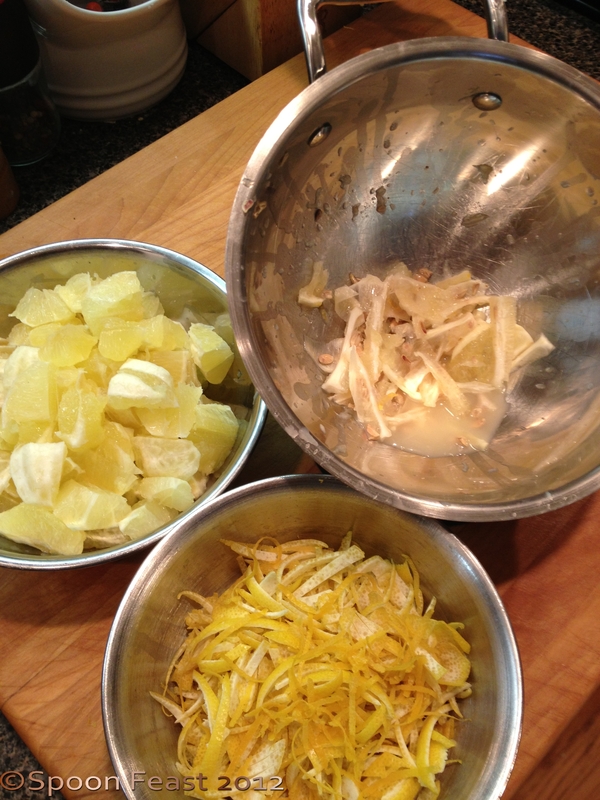 This adds so much to the complexity of flavors involved in a great marmalade. 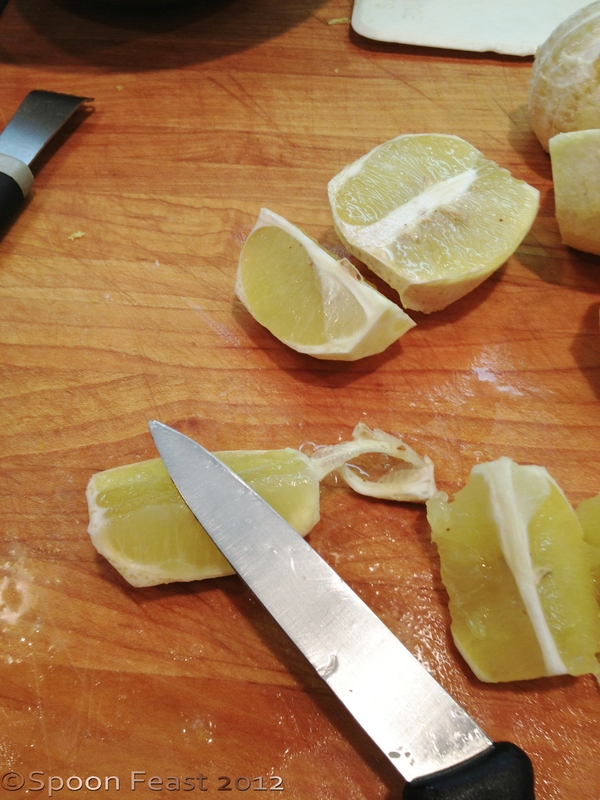 Cut the fruit into quarters; remove the core and slip out all the seeds. Reserve core and seeds in a bowl; chop the fruit and place it into another bowl. Try to reserve as much juice as you can. Measure chopped fruit and sliced peel to determine how much water and sugar are needed. Remember equal parts of all three. Here you have the chopped seedless fruit, the sliced zest and the trimmings from seed removal in separate bowls. Place all of the trimmings into a cheesecloth, tie it and put into the pot to cook with the fruit, water and sugar. You will want to remove it after cooking. Add the same amount of water, sugar. and the fruit and peel to a deep heavy bottomed pot. Bring to a boil, stirring to prevent sticking and burning. Once the mixture comes to a boil, reduce the heat to an active simmer. Place your thermometer into the mixture and let it simmer until it reaches 220°F. Remove from heat. Please be careful handling this as it is hot melted sugar and can really cause a nasty burn. Keep a small bowl of ice water near to dip your hand into just in case it splashes. 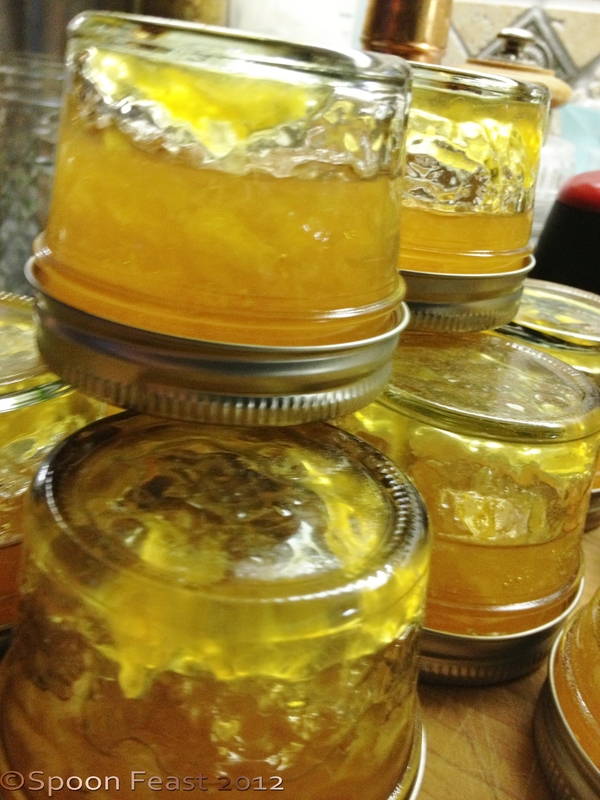 Fill sterilized jars with the hot marmalade, place the lids on and flip them upside down to cool. This will seal the jar. Cooling jars upside down will seal them or you can use traditional canning methods. I use small 1/2 pint jars so I can have extra to take along with me when ever I need a small gift. These are also great office gifts and hostess gifts too. When the Keller family of Dundee Scotland started making Bitter Orange Marmalade, they bought a lot of oranges from Spain they thought were sweet. Upon the discovery of the oranges being bitter, Mrs. Keller took them into her kitchen and boiled them with water and sugar to make what became the wildly popular “Bitter Orange Marmalade”. In my opinion the best marmalade is full of fruit and peel with that lovely bitter element tucked into the sweet flavor. California made marmalade is made with sweet oranges therefore does not have that bitter bite marmalade fans enjoy. When buying or making marmalade you can get the fruit just the way you like it. I like it full of chunked fruit with lots of peel. You can make it (and buy it) with just peel too. Making marmalade is easy as long as you have time and a candy thermometer. Besides, there is something quite satisfying to see a line of nice glistening jars all full of lovely marmalade that you made. It makes you feel as if you can do anything. 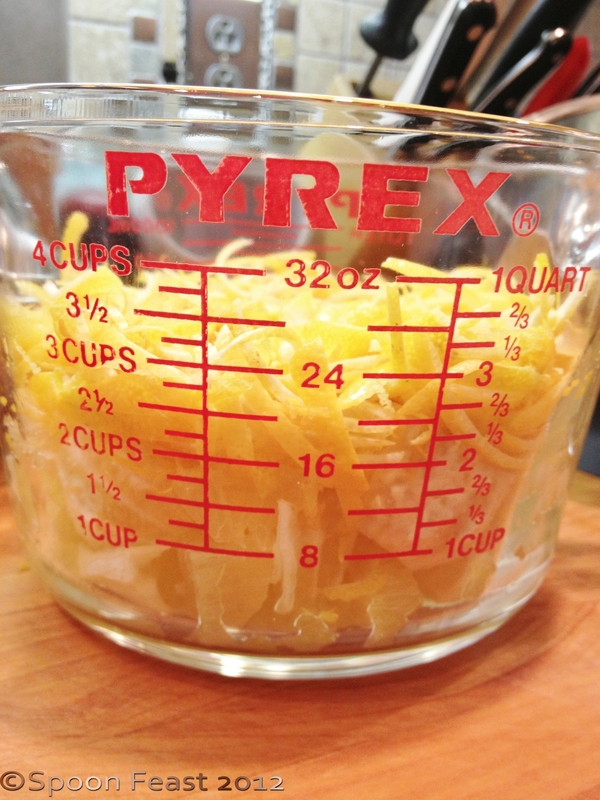 This entry was posted in basic skills, Cooking, Recipes and tagged Bitter orange, bitter orange marmalade, Citrus, Fruit, Lemon, lemon marmalade, Marmalade, Peel (fruit), Pith, seville oranges, Sugar. Bookmark the permalink. YUM I love marmalade and lemon would be great. It is Gary, I put a bit on top of some grilled salmon and WOW! Great flavor! I hope you try it. I must do that tonight. I have salmon. It is amazing with warm toast and butter. It is a good reason to get up in the morning. wish I can get some of those jars… but since I can’t I will have to just follow your directions and make my own. as soon as possible! You will love it Barbara, esp. with the bread you make! Wow. You make the recipe seem so divine. This actually reminds me of my childhood. My great grandmother loved to give add orange peelings to her desserts and such. Good stuff! I am still confused about the zest. It seems like you need some for some bitterness, but too much could make it too bitter. Am I correct? Too much zest will add a strong lemon flavor. The bitter comes from the white pith underneath the color on citrus fruit. So if you have a fruit that has a wide bit of white under the skin and surrounding the citrus fruit underneath the pith, you will need to remove as much as you can to avoid the bitterness.